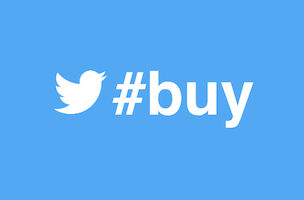 Rumours of Twitter’s ‘buy’ button started to surface earlier this year before the company made an official launch back in September. It’s appeared on a few occasions in the wild over that time but today we can get a good look at how it all works, courtesy of a holiday promotion from AMC Theatres. See the buy button? Click on that and you get this pop-up. Click ‘buy now’ and you’re asked to enter your payment details. The order processes, and all of this information is then stored in the Cards and shipping and Order history sections of your Twitter account settings. No information yet on if and when the button functionality will be rolling out to all users. Right now, it’s very much limited to pre-approved Twitter partners. Will you be taking advantage of AMC’s offer on Twitter? Hit the comments to let us know.